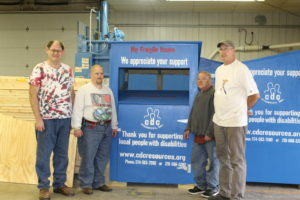 As part of our Day Services job training program, people with disabilities are building wood donation boxes. 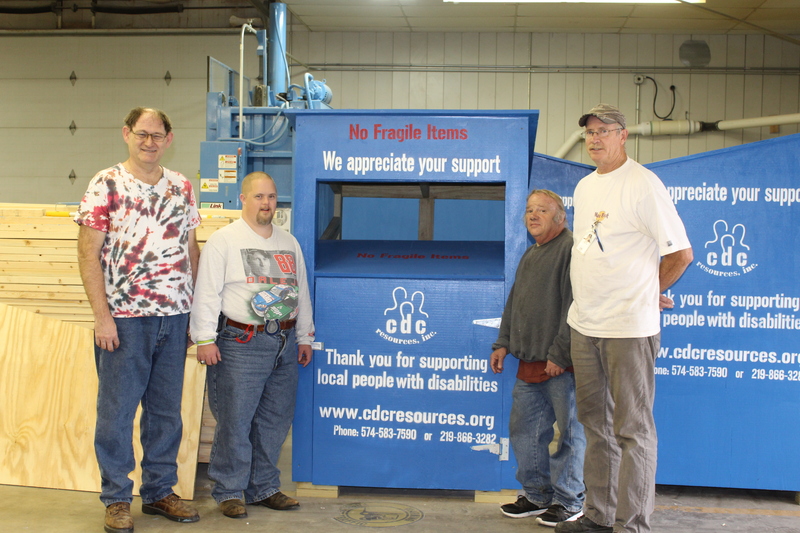 We’re looking for community partners who are willing to allow us to place the donation boxes in their parking lots. The items collected from the donation boxes will be sold in the CDC Thrift Shop, which will in turn help fund our programs. We are seeking community partners in Benton, Carroll, Jasper, Newton, and White counties. If you’re interested, please contact Randy Robbins, Maintenance Coordinator (rrobbins@cdcresources.org), or Regina Dierckman, Community Relations Specialist (rdierckman@cdcresources.org), at 574-583-8227.